Large,premium well appointed house offering year round tranquility, looking out to sea and beach, that you can often have to yourself. Drive or walk the 4.5km to the river mouth and all the action the river system can provide. Flounder, cockles, Kahawai. Surf cast or contiki the beach front. Golf and tennis at the Country Club a short walk or drive. Lay under your brollie or sit by the fire far from the madding crowd. 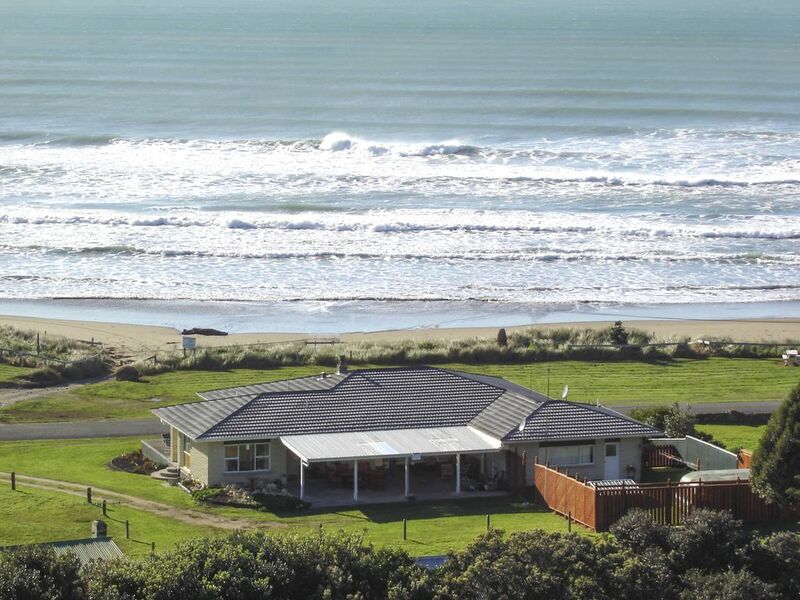 Other activities, Wonderful beach walks, Porangahau 9ks river mouth return, Whangaehu to Cape Turnagain 3 hour return, Whangaehu cliff walk 5km round trip. Drive to Herbertville Beach, walk to seal colony 2 hour round trip and sustenance at Herbertville cafe/bar or Wimbledon Hotel. Dive the Whangaehu reef, Black Head Wreck or look at the bounty at Te Angiangi Reserve, drive Black Head to Pourere around the beach at the same time. We have a rich cultural heritage to experience, Tours to Pa sites, the worlds longest place name, Rongomaraeroa Marae visit, let our story tellers bring history alive for you. All from the supremely comfortable base at Beachfrontinn. Free Wifi, Sky, firewood, golf clubs, tennis raquets, boogie boards , beds made up with good linen, towels, toiletry basics included in the rental. LINEN FREE, BEDS MADE UP. EXTRA CLEANING INCLUDED, Please leave place tidy and dishes done.